In Europe, Clarias gariepinus was first introduced in the Netherlands in 1976. The first brood stock originated from the wild from 40 African catfish transferred from the Central African Republic (Hogedoorn and Vismans, 1980). Commercial farming of this species started in 1985 in recirculation aquaculture systems (RAS). Much later catfish strains from Israel and the Republic South Africa were introduced. These strains were crossed for the production of fingerlings and resulted in the currently cultured “Dutch strain” African catfish. On farmers level brood stock selection is mostly done in a very primitive way. To hold and monitor large populations of different African catfish strains strictly separate for long periods is very costly. The results are, if you are successful, visible after a couple of years and the next problem for the commercial farmer is keeping this advantage for him selve! Another problem for the farmer producing African catfish fingerlings is to show his customer the benefit of an improved strain. Improvements in growth and feed conversion ratio of for example 5% are great achievements in the mind of a researcher, but for a farmer small differences and most probable not spotted without serious farm recordkeeping. Practically spoken the market for African catfish fingerlings is first of all price driven. Next to this hatcheries focus on availability, size, uniformity and health status of the African catfish. Most African catfish farmers (tropics and Europe) are small to medium sized farmers, not well organised, and simply do not have the means and abilities to do serious research on genetic improvements of their stocks. The little research done on African catfish genetics is done by universities but has never been seriously implemented in practice. African catfish farming is a relatively new industry. In Europe it started in the early eighties and in Africa only few farmers were active in an extensive way by that time. The first broodstock came from the wild. In the Netherlands for example, wild African catfish was imported from Central Africa and the first generations the selection was based on growth. My personal opinion is that we were just performing selection of fish which were able to adapt to the intensive way of farming in warm water recirculation systems. 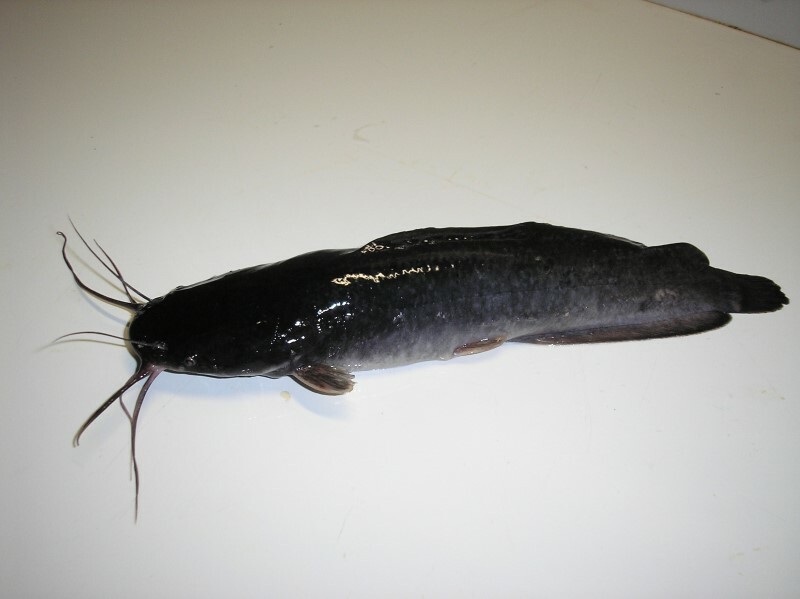 Soon after the introduction of African catfish from Central Africa fish was brought in from Israel and RSA. 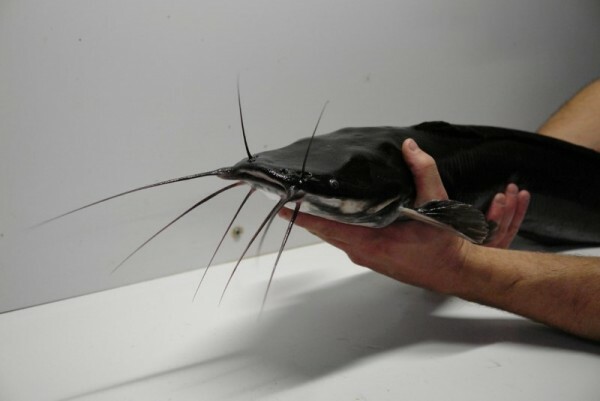 In the Netherlands the strains were not kept separate and as a result the “Dutch African catfish” is a result of 3 strains. Meat quality and dress out percentage are very important parameters for the processing industry. Variation is noticed between the strains from different locations in Africa. In the tropics the aspect of meat quality and dressing percentage are of less importance because the fish is consumed as a whole; no filets are taken from the fish and heads and intestines are not wasted. Within the family of Clariidae (Siluriformes) intergeneric hybrids were produced through interbreeding between species from the genera Heterobranchus and Clarias (Ref.). A well-known intergeneric hybrid is a crossbred between the Heterobranchus longifillis female and Clarias gariepinus male, the so called “Hetero-clarias”. Due to rearranging of genetic material from both species in the offspring, the intergeneric hybrids show characteristics of both parental species. A well known hybrid is the cross between a Heterobranchus longifillis female and a Clarias gariepinus male, called Heteroclarias (see figure 5). In our hatchery in the Netherlands we are producing this hybrid for a group of farmers linked to a processing plant. This group is very keen in producing and marketing this type of fish. The filet of Heteroclarias is white in comparison with the pink/reddish colour of Clarias gariepinus filets and contains 30% more fat than Clarias gariepinus filets, which improves the taste. The gonads of hybrids are almost absent and not active. 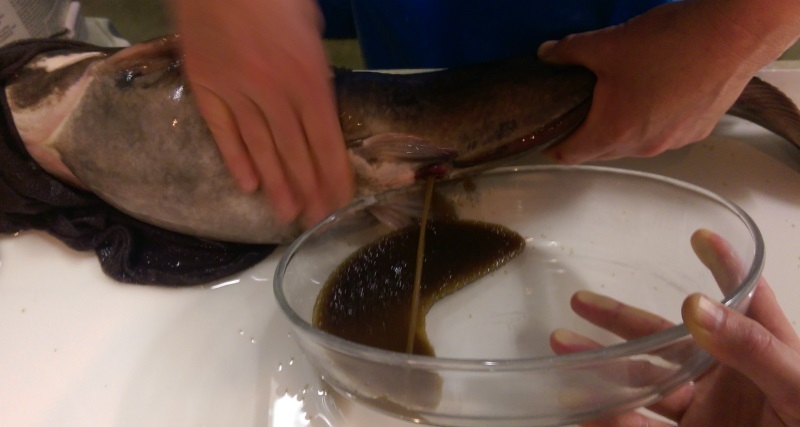 For this reason the dressing percentage is relatively high compared to Clarias gariepinus. The Heteroclarias fish filet can be used as an alternative for white filets from marine fish species. As a fingerling producer of Heteroclarias we notice big differences in behaviour with the common African catfish. The Heteroclarias fingerlings show a wide variation in growth and severe cannibalism is noticed, especially when frequent grading is neglected. Next to this the Heteroclarias is easily stressed. After an age of 12 weeks, well graded fish show very equal growth and low mortality to the moment of harvesting at 1.4 kg. In the tropics the Heteroclarias is considered superior over the Clarias gariepinus in growth in pond culture and is considered as better growing fish. For a fingerling producer hybridisation has a major benifit. The hybrids are infertile and it is not possible for customers to continue breeding with those fish. The pure parent stock is kept on farm and is never shared with other farmers. The pure Heterobranchus longifillis strain matures at a age of 2 years, which is very late compared to Clarias gariepinus (1 year). The purpose of good brood stock maintenance is to harvest good quality eggs and sperm. The brood stock should be individually tagged to have tracability for each batch of offspring and to have the possibility for a breeding programme. Th broodstock should be given enough time to recover from spawning and with the individual tagging it is possible to do proper record keeping. 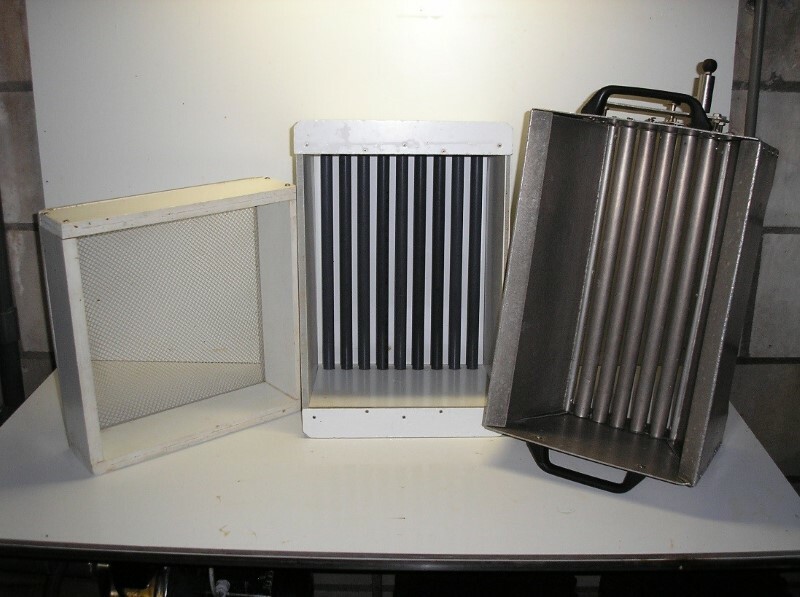 We prefer recirculation systems in a confined area with temperature control if necessary. In the tropics flow through systems can work too, if flushed with good quality bore hole water. In our farm the productivity of the female (fecundity) expressed as % of the body weight is between 5-15%. The egg size tends to increase with the size of the female. In larger fish the number of eggs per gram of eggs is lower than in smaller broodstock. On average we count 500 eggs per gram. The average females we are using in our farm have a weight of 6 kg and produce 300-600 gram of eggs (150.000-300.000 eggs). A female is selected from one of the broodstock tanks. With a small tube it is possible to sample the eggs out of the ovaries to check if the nucleus has migrated to the side and the egg size has a diameter of 1 mm or above. Most farmers do not perform this check, they just select by eye. In captivity females do not perform final ripening of the eggs without hormonal treatment. The injection of gonadotropin releasing hormone in the form of natural pituitary glands or synthetic products like OVAPRIM induces the final step of ripening called vitelogenisis. In this final step the eggs are provided with yolk and take up water. The period between injection with hormones and stripping of the eggs depends on the temperature of the water and the type of hormone used. Through trial and error the perfect time for stripping can be determined. Too early or to late stripping results in bad egg quality and thus poor spawning results. Too early stripping: very dry egg mass. It is difficult to completely strip the female because the eggs do not flow out. The female often dies because of the stress and internal injuries. Too late stripping: the egg mass is fluid. Often the female has released a lot of eggs in the preparation tank already and stripping is very easy. Several hours after stripping we perform final stripping to remove all ripe eggs from the ovaries of the female. This is to prevent that these ripe eggs die inside the ovaries and start to deteriorate. This will harm the fish and can cause death of the broodstock female. The females have to stay in recovery for a couple of days before putting them back to the broodstock tank. Male Clarias gariepinus do not release sperm after treatment with hormones like many other fish species. The males have ripe sperm all year round. The fish should be at least 1 year old to have ripe gonads. A lot of variation can be seen between males of the same age in ripeness and size of testis. In practice farmers sacrify males in order to dissect the testis out of the abdomen. By making incisions in the testis tissue the sperm can be collected. As a consequence new male broodstock needs to be added to the broodstock population sacrificing the males is a big constraint on genetic programmes. Some farmers are using operation on the males. After tranquilizing the fish, a small incision is made in the belly of the fish and with a syringe with needle some sperm is taken out of the testis. Finally the incision in the belly is stitched using veterinary stitching materialand the male is able to recover in 1 to 2 weeks. During this time the wound closes completely. Unlike the sperm of mammals sperm of fish is not active, but will become active as soon as it is in the water. The sperm is active for less than a minute, so it has to find an egg quickly before all the energy has gone. This is the reason that during the proces of sperm collection all materials, hands and the fish should be dry. Although these precautions are taken, the sperm can be activated accidently. The sperm concentration of good males is more than a million per ml! Cryo conservation of sperm has been done on an experimental scale by Universities and the method is quite successful. The problem of this method for farmers is that they have to be equipped with a laboratory and should have permanent availability of liquid nitrogen to keep the sperm preserved. The eggs and sperm are collected in a dry glass or porcelain bowl and a dry small glass or porcelain cup respectively. A simple but effective way of fertilization is to bring the eggs and sperm together in the egg collection bowl, mix it gently before adding water. In literature adding certain fertilizing solutions during fertilization is reported as being very benificial, because they are thought to extend the life of the sperm in order to improve the fertilisation rate. I prefer not to use any extra fluids because any extra handling can give a problem too. Artificial propagation of African catfish is a relatively simple procedure and many farmers are very skillful in doing it. Millions of larvae are hatched weekly in a country like Nigeria but until today there still is a shortage of good quality fingerlings and juveniles. Reproduction of African catfish is following a certain procedure, but farming the larvae for 1 or 2 months to juvenile stage comes down to the capabilities of the individual farmer. African catfish hatcheries in general can be very profitable, provided it has a good culture system and dedicated hatchery staff. Because many farmers lack knowledge, proper management ideas and/or a properly build hatchery, the results between farmers can vary from 200 eggs needed for 1 juvenile to 5 eggs needed for 1 juvenile (an African catfish juvenile being a 2 month old fish of approximately 8 grams). 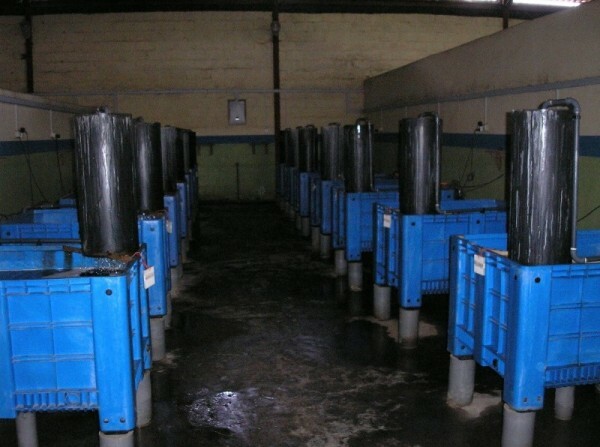 In Europe African catfish hatcheries are strictly equipped with recirculation systems (climate conditions do not allow to do otherwise). In the tropics hatcheries are either recirculation systems only or a combination of recirculation systems, flow through systems, hapaâ€™s and small ponds. In many African countries the juvenile production is by far not meeting the demand. This results in high prices and often inferior quality of African catfish fingerlings/juveniles being sold. Many African entrepreneurs are attracted to start a hatchery, but only very few succeed. On the long term I personnaly do not believe in small backyard farmers producing some fingerlings but in medium sized operations using recirculation technology well distributed over the country providing people with fingerlings/juveniles of good quality and support people in growing those fish to table sizes fish. What I can see from my experience is that hatcheries in Africa but also in Europe are considered as the centres of knowledge for other farmers. In our hatchery design for African catfish we divide the hatchery in different sections. Each section provides the optimal environment for a certain life stage of the African catfish. We prefer a recirculation system with connected to a water purification unit. The tanks, both fish tanks and tanks of the water purification unit, can be build of materials like glass fibre, polyethylene or concrete. The water purification unit consists of a sedimentation tank, a pump tank, a bio tower and a UV-system. The system should be placed in a confined area were the temperature can be controlled. The tanks should be equipped with good drains for easy and quick selection of the broodstock before reproduction. Next to this system a number of preparation-recovery tanks should be placed (around 300 liters). The number of brood stock needed depends on the success rate of the spawning. For example one female can be used for eight spawnings per year (in theory) providing 3,2 kg of eggs. This equals around 1.6 million eggs and with a minimal 10% survival till juvenile stage this results in a yearly production 160.000 African catfish juveniles. African catfish broodstock should be fed with good quality feeds. We normally use a special feed for broodstock, which has higher concentrations of proteins, fats, vitamins and certain aminoacids than normal grower feeds. The difference between broodstock feed and normal growout feed is the ingredients used in the diet. For African catfish broodstock feed the best quality fish meal is used, fat is provided only by fishoil (no vegetable oils are used) and micro nutrients are added. The feed has been tested mainly in salmonids and in these fesih it improves the fecundity in both sexes, the hatching rate and decreases the occurance of deformities in the fry (the addition of astaxanthine and Vitamine E to the feed prevents oxidative damage of young tissues by free radicals). The immune system of the broodstock is boosted by the addition of beta glucans (immunostimulants) in the feed. Researchers suspect that this also will be transmitted to the eggs. In our farm we feed the broodstock 4 times a day by hand. Even in the tropics I prefer to import expensive compound feed from a reliable factory in Europe instead of using locally produced and often unreliable feeds. I believe a good starting point is essential for a successful development of the offspring. 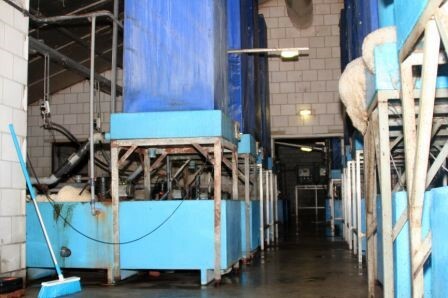 In our hatchery we try to maximise the life span of the broodstock, since replacements are costly. Males can be used 1 (if the male is killed) to 4 times (if the operation procedure is used), before it is being replaced by new, younger males. Old males (above 4 years) tend to develop testis with sponge like tissue and it is containing watery sperm with a low concentration of spermcells. Females can be used for a long period and stay in a better condition for a longer time, especially when the females are used maximum twice per year. Females reach a higher weight and size than males (max. 15 kg and 1.30 meters). Growing the next generation of broodstock should be done in a separate system. The incubation system should be placed in a room with controlled temperature. The temperature must be kept at 30 °C. Even in the tropics the water temperatures in the night can drop to 24 °C, which has a negative effect on the growth and health status of the fry. The UV-C unit reduces bacterial blooms (cloudy water) and growth of fungus, which is developping after the eggs have hatched. With the hatching of the eggs a lot of egg fluids are released in the water. Together with unhatched eggs this is a fertile medium for bacteria and fungi to grow. Together with constant addition of fresh water, the UV-C device stops the bloom of these unfavourable organisms. The system should be build in a way that it is easy accessible in order to do proper cleaning and inspection. The fertilised eggs are spread over a sieve. The eggs are surrounded by oxygen rich water, which lowers egg mortality. The eggs hatch in around 24 hours with a water temperature of 29-30 °C. The larvae fall through the mesh of the mosquito net, while all dead eggs and egg shells are easily removed with the netting. During the first two days the larvae absorb the yolk sac and develop their intestines. After this period the larvae are able to swim freely in search for food. The larvae change in colour from transparent green to brown during this period. Each hatching cycle takes 13 days (preparation of the system 2 days, 3 days hatching and absorbing yolk sac, 7 days growing the fry, 1 day harvesting and cleaning). It is very important that between each cycle the system is thoroughly cleaned and disinfected. The first feed for African catfish fry is life Artemia nauplii hatched on site. From experience we know that the survival rates and growth of fry starting with life Artemia is higher than with dry larval feeds or encapsulated Artemia. If dry feed is applied always start with dry feed before feeding Artemia nauplii. With glass aquaria you are able to inspect the eating behaviour and the filling of the stomach very well and overfeeding or underfeeding can be avoided. Well fed African catfish larvae show full bellies and these fish settle on the bottom of the tank. In this system the larvae can grow from 0,1 gram to approximately 0,5-1,0 gram. The system consists of a plastic tank connected to a biotower and a sedimentation tank. A pump is providing the flow and an UV-C unit provides clean water. In Nigeria these systems are very popular, because they are sold preassembled for a reasonable price and the maintenance on these systems is very simple and low in cost. Preferably the systems should be placed indoor, were a temperature can be maintained of 28 °C. At 0,5 to 1,0 grams the now called fingerlings are either sold to customers or moved to the juvenile section of the hatchery. In Africa African catfish is sold as fingerling at this size. The fish is large enough to withstand transport in 20 liter polyethylene bags filled with 1/3rd water and 500 to 1000 pieces of African catfish fingerlings and 2/3rd oxygen. Next to this the fish are able to breath atmospheric air using their branchial organ and can therefore be stocked in green water ponds which normally have big oxygen level fluctuations during the day. This section is suited for growing fingerlings of 1,0 gram to juveniles of approximately 8 grams. Farmers like this size because they are more robust than fingerlings and mortality rates (mostly due to cannibalism) are much lower. These systems should also be placed indoors. Temperature can be kept at 28 °C constantly. The primary reason for the loss of fish during this period is cannibalism. This loss can be reduced by proper grading for shooters, also during the growth period (see later section for explanation of grading). After this stage, when juveniles are growing to consumption size, loss is less than 10%. Fingerlings growing to juveniles should be fed several times a day in regular intervals. 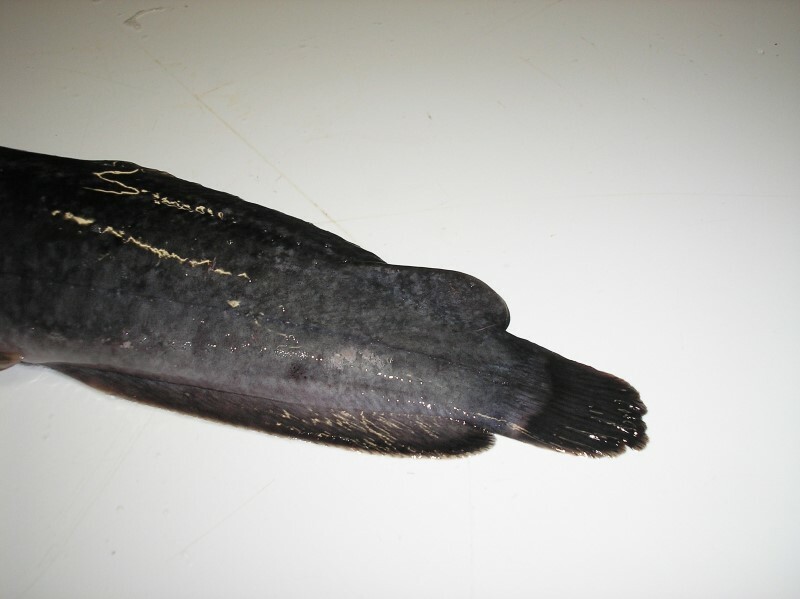 African catfish is also active in the dark. The secret of the success of many hatcheries lies for a large part in the mangement of grading. African catfish is a carnivorous fish that displays canibalistic behaviour from the moment the African catfish have absorped the yolk sac and start eating. 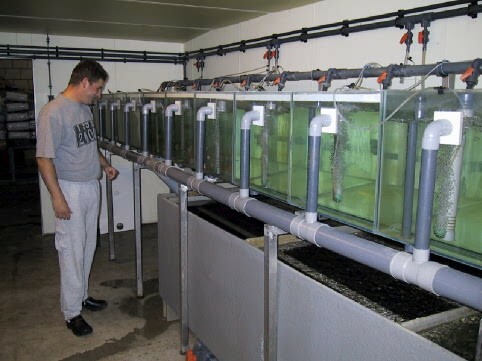 To minimize the effect of canabilism on overall survival of the fish grading must be performed on precize moments during the growth of fry to juvenile. Grading is performed with either large mesh nylon sieves for small fry and fixed or adjustable graders with bars for larger advanced fry and juveniles. 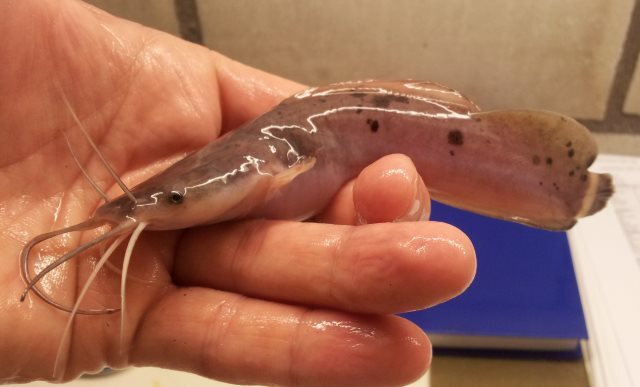 Grading takes place when transferring the African catfish from one section to the other, but in between the African catfish can be graded at fixed times (f.e. half way the growth period in that section) and when shooters are spotted. Please contact us for more information, prices and quotation.